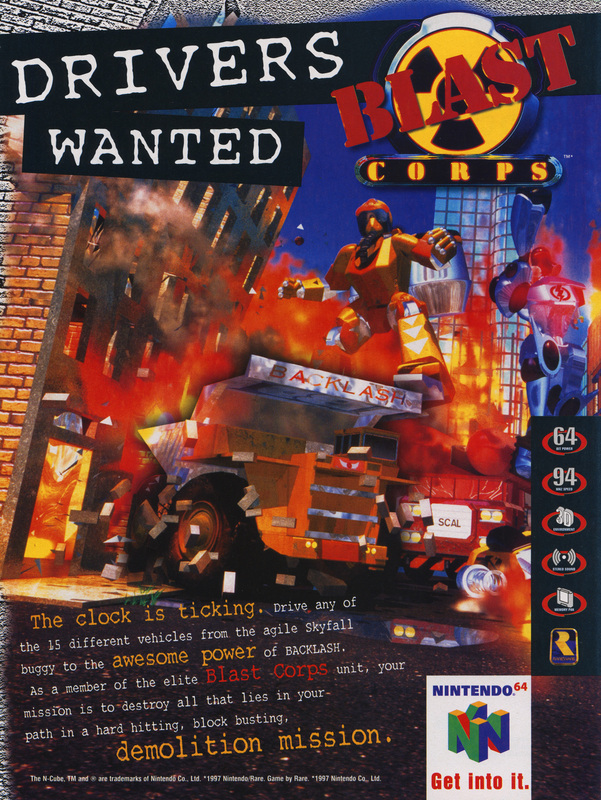 Blast Corps is an oft-overlooked gem from Rare’s peak era. Players control various demolition equipment and must clear the way for a truck which is carrying enough nuclear armament to destroy the world. It’s one of those games that’s relatively easy at the basic level, but has some downright dastardly challenges if you’re going for full completion. This ad is from the UK release of the game.